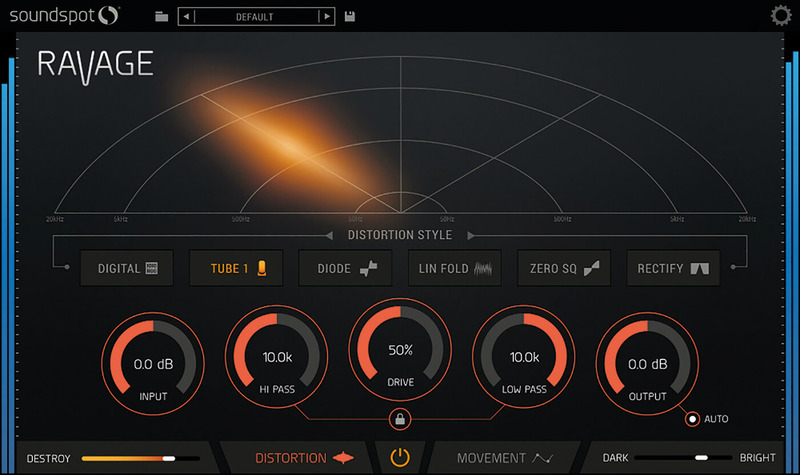 The most dynamic and flexible distortion you’re likely to get for such a low price. This is one dirty and dexterous plug-in. Distortion has become quite the in-demand and in-vogue effect across a wide variety of genres. 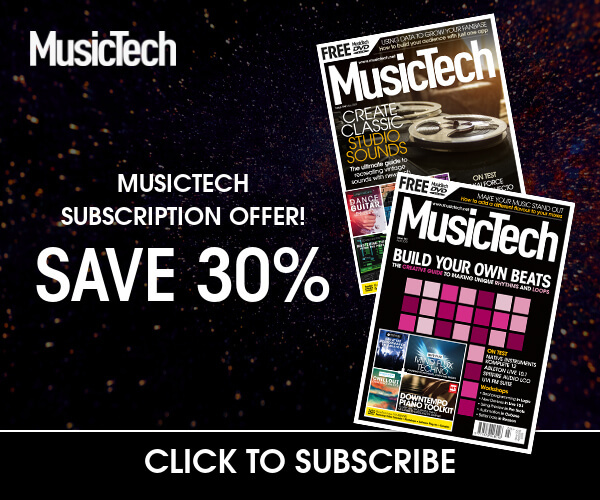 It can be used in any genre, from helping to provide more low-end attitude in dance music, through to its more traditional rock applications. Thrown on any instrument, too, from snappy drumbreaks to bass to vocals, distortion can add many flavours and enhancements. Ravage offers you a taste of all of those distortion flavours and, until you’ve used it, you might not have realised quite what a wide a variety of distortions there are. Ravage breaks it down into six big distortions: Digital (anything from subtle hiss to screaming fuzz); Tube (screaming to noise); Diode (a potentially melodic broken bitcrush); Lin Fold (a sort of crushed Tube); Zero SQ (bitty and blippy) and finally, Rectify (broken and buzzy). Those are vague descriptions and, to be fair, they change according to the sounds you put through Ravage. The best thing to do is choose one sound and then simply click through all six to hear what each does. Above the six distortions, you get a semi-circular grid that indicates pan position and also tells you where in your frequency spectrum the bulk of your distortion sits – useful if you want to keep it away from certain other parts. Indeed, if you do, the hi- and lo-pass controls beneath will come to your aid. These sit with Drive, Input and Output controls to help tame your signal. There’s also an Auto switch by the Output dial to try and compensate, should you go wild with the input controls. Two further sliders – Destroy and Dark/Bright – do what their names imply, the former being particularly pleasing as it heaps more distortion onto everything! The Movement tab is where Ravage really comes into its own, offering heaps of user-definable modulation. You can set up an unlimited number of destination lanes so that everything from Drive to Pan can be modulated over whatever timeframe you like, and in different ways. You just draw in the parameter levels to change levels over that time. It’s a superb addition, taking what was already a great and highly flexible-sounding distortion plug-in into new territory. The movement variations you create offer some incredible sweeping results and really give Ravage a dynamic edge. Dirty!